Ashley McKenzie is a Nova Scotia-based filmmaker. Her 2010 short Rhonda’s Party was selected for the Canada’s Top Ten Film Festival. Werewolf follows the daily struggles of two young, homeless drug addicts. It stars Andrew Gillis and Breagh MacNeil. 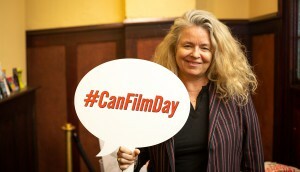 AM: We decided not to apply to Telefilm for development funding and went the Canada Council route. We got $20,000 scriptwriting funding from Canada Council and $10,000 from Arts Nova Scotia. This way I could write the script and then decide what was the right model for me to make this film. 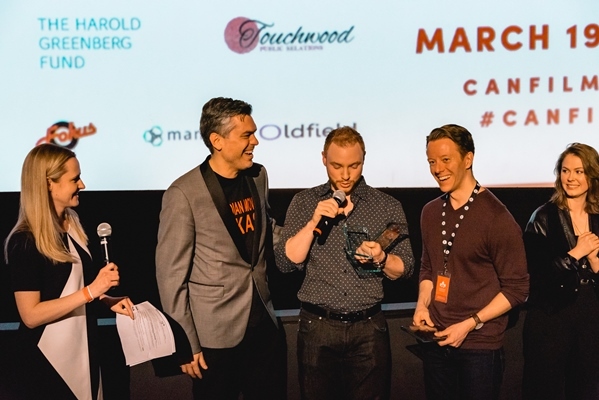 AM: Once development was complete, we applied to the Telefilm Micro-Budget Production program and received $120,000, as well as $60,000 from Canada Council and $9,600 from Arts Nova Scotia. We were also one of the very first productions to apply for the Nova Scotia Film and Television Production Incentive Fund. AM: We shot the film in Cape Breton over five weeks and 26 production days starting in late-August 2015. The cast was entirely from Cape Breton, as well as the majority of the crew, with a few exceptions. There isn’t really a film community in Cape Breton, so we had to crew up in an alternate fashion, [which] was a challenge. We decided to work with friends of ours who have never worked on films before but who we knew had skills that were applicable. NM: Both Ashleigh and I have had short films at TIFF before, but it’s a lot different having a feature. We can’t overstate how much it means. We’re from Cape Breton, you can’t get much further from Toronto or Hollywood and still be in North America. NM: We’ve signed a deal with a Canadian distributor, so that we can access the funding from the Nova Scotia Incentive fund. We’ve had some success in Europe with our short films before, but we’re English-language filmmakers and we take a lot of our cues from really small micro-budget American cinema, so we’re really crossing our fingers that maybe we can get into a tier-one U.S. festival. 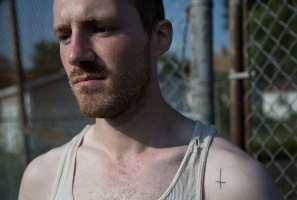 Vincent Biron’s 2010 short Les Fleurs de l’âge won Best Canadian Short Film at TIFF. Prank premiered at the Venice Film Festival’s Critic’s Week this year. The film follows an awkward, bored teenager who befriends a group of “professional” pranksters, whose gags eventually get out of hand. It stars Étienne Galloy, Alexandre Lavigne, Constance Massicotte and Simon Pigeon. VB: We didn’t get any financing and we didn’t seek out any, because the film was really born from a will of mine that I had to do something different. 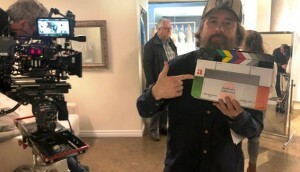 I work mostly as a cinematographer, so I’m used to having budget and crews and stuff, but there’s another kind of filmmaking that I’m really fond of which is the real indie, grassroots, Kevin Smith/Richard Linklater school of filmmaking. I [asked] a bunch of my screenwriter friends to write a film with me and in three months we’d shoot it without a crew whatsoever. We wrote a script that I knew we could shoot without any [financing]. We reverse engineered it to be able to do it this way. VB: We shot it over a year every weekend. We were doing pre-production each week and shooting on the weekends. We shot in six or seven cities, all within an hour from Montreal. Locations are easier to get for free outside of the city. It was the first time I shot and directed at the same time, so it was a learning experience. It was pretty overwhelming actually, because you know you’re only going to have one chance at making your first feature. VB: We got shortlisted in Berlin and that’s when we thought, “Oh, this might interest other people.” Then Venice [announced the film would world premiere during Critics' Week]. I’m still in shock. Kevan Funk’s short films A Fine Young Man (2010) and Yellowhead (2013) screened at the festival. Hello Destroyer, which examines how we teach boys to become men, stars TIFF Rising Star Jared Abrahamson as a new recruit on a minor league hockey team. KF: I finished the TIFF Talent Lab [in 2012] and there was a shorts competition for the participants. The idea was there long before the short, but after the short was made it allowed things to coalesce and motivated all of us to focus more seriously on the feature, because we already had this tangible thing out there that was getting attention and that we could use as some leverage in terms of painting the world. HW: I wanted to make sure that we had a few key elements in place: an executive producer and the support of Telefilm Canada. Screen Siren Pictures came on as our executive producer, Trish Dolman and Christine Haebler. At that point we already had the feature screenplay and we knew that the next key element was to gain interest from Telefilm and get them excited about the project. We found an amazing champion over there, Lauren Davis, who was just fantastic from the beginning. We received our financing from Telefilm in 2014, but didn’t go to camera until February of 2016. KF: We had a window in 2014 to get the film made. We needed winter, because of the setting of the film, [but] when we were getting closer to a shooting date, there were a lot of intangibles that we didn’t feel that we had totally locked down. It was a really tough call to make – it was absolutely the right decision, but when you decide to push and wait a year, when you’re that hungry to do it, it’s a bit terrifying. DD: We originally tried to make this film in a different way. We tried to go for stars for our lead and for our coach. We ended up getting a $400,000 [minimum guarantee] but it was contingent on cast. 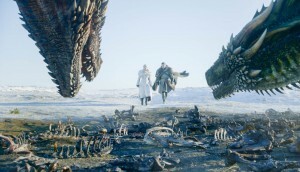 When the cast fell through – mainly because as negotiations progressed, we hit winter and had to push [filming] to next year – we went back to the drawing board and realized we have always made films at a small scale with people we knew and at low budgets. So we restructured and pulled off the film [for less than $1 million]. KF: We did a couple days in Vancouver, and [around five weeks] up in Prince George, B.C. Danny and Haydn were able to find a way to financially make that work, which was a stretch for a project like ours because that meant we had to have crews travel and cast travel. KF: Toronto has meant a lot to me in terms of getting me to where I am. So that was a big part of really hoping to get the world premiere [in Toronto]. Then there’s also the element that the film is aggressively Canadian. In English Canada we can do this strange whitewashing of our culture to fit it into an American market. Having made something that was very much about [Canada] and reflected on it in a bit of a different way, I think Toronto made a lot of sense as a [premiere location]. DD: We really want to figure out the right spot for an international premiere – that’s very important to us getting it out there. I think we’ll have a good time with the Canadian festival circuit. We’ve already got a couple hellos. KF: I’d also like to have a nice long festival run. I’ve always done that with the shorts and I love that. It’s a really nice way to get the film out there and get people excited about it. An abbreviated version of this article appeared in Playback‘s Fall 2016 issue.